People all over the world consider February the love month. Filipinos are not immune from the Valentine’s Day fever! Apart from Christmas, Valentine’s Day is considered one of the most commercialized holidays in the Philippines. In a lot of ways, Valentine’s Day celebrations in the Philippines are very similar to those in Western countries. Though February 14th is not declared an official holiday, you will feel the Valentine’s vibe everywhere you go. Shops, whether big or small, decorate their interiors with hearts and cupid arrows, hotels and restaurants become jam-packed and fully-booked, and prices of flowers and chocolates skyrocket. Valentine’s Day is also the cause of bad traffic, especially in the metro area where all the big malls are situated. Another sign that it’s Valentine’s season in the Philippines is the amount of proposals. Some couples even decide to get married in February, just in time for Valentine’s Day. Maybe it’s because of the sweet atmosphere everywhere, but February makes a good time for someone to confess their love or propose to a significant other. 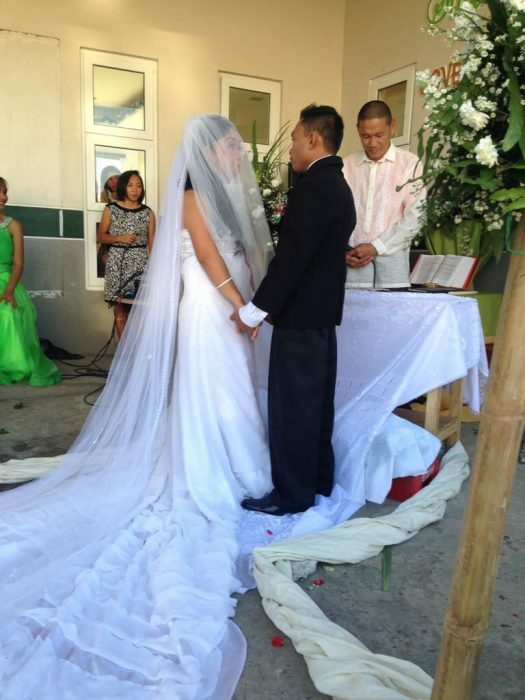 With Filipino culture being deeply rooted in Christianity, they value marriage a lot. This is why some of them decide to wed on a special occasion or season – to associate the start of their marriage with a special date. Valentine’s Day is a perfect time for two people to seal their love for eternity. Some cities and municipalities kick off the love month with hundreds of couples exchanging their “I Do’s” at the same time. These couples who decide to partake in mass nuptials will enjoy free-of-charge wedding paraphernalia, including the flowers, wedding cake, venue, a sumptuous banquet and in most cities, even the rings. The only thing that they should do is register ahead of time with their personal documents and show up in their formal attire on the day itself. It’s like a date and getting hitched at the same time, free of expenses. How cool is that? For several years now, mass weddings have been officiated in different provinces to help out couples who are struggling to afford to hold their own wedding ceremonies. In a mass wedding, you will see hundreds of couples coming from different backgrounds with different stories. Most of them are already living together and have their own families but could not pay for a wedding ceremony. This makes February one of the most common wedding months (December is the most popular). It only goes to show that the desire to get married to a loved one will always be etched in every Filipino’s hearts, regardless of your status in life. Whether you can afford a lavish ceremony or just a simple celebration to exchange vows, marrying the love of your life is the important thing. Nothing else matters! 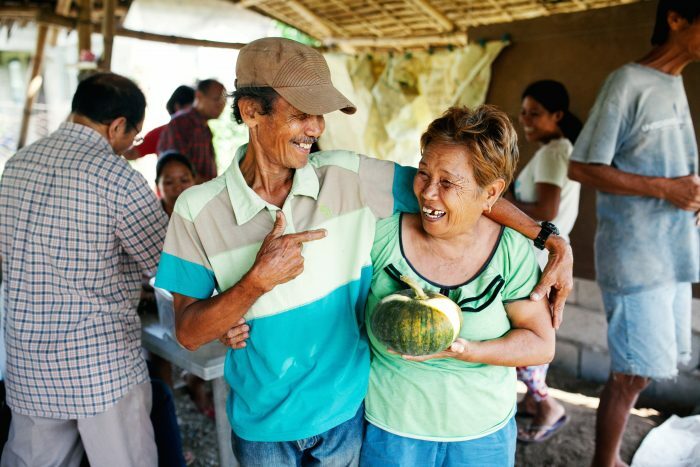 Sure, there might be a lot of ways Filipinos celebrate the Valentine’s season, but one thing is for sure: everyone tries to make sure that they show their love and appreciation to their loved ones — spouses, children, parents and even friends during the season of hearts. A former ICM participant’s wedding ceremony!